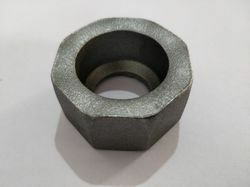 We are a leading Manufacturer of mild steel wheel nuts, mild steel nuts, mild steel hose nuts, cold forging nuts, ms octagon nut and ms forged nuts from Bengaluru, India. 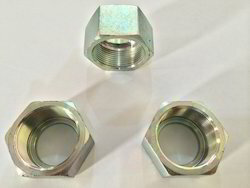 These nuts are made by cold forging process. 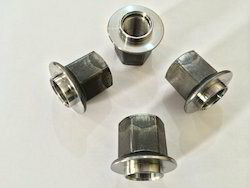 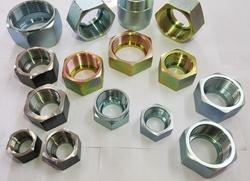 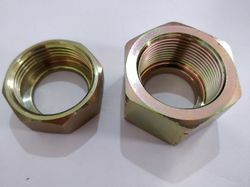 These nut are used for manufacturing hose end fittings. 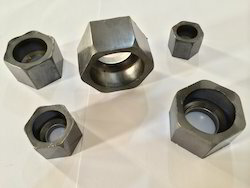 Cold Forging Nuts are superior in quality, with the better surface finish, annealed structure and free from all kind of surface cracks.